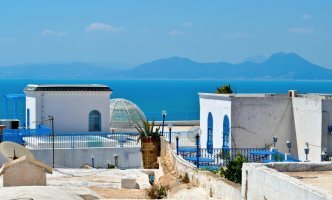 Tunisia is an export-oriented country with a diverse economy, ranging from agriculture, mining, manufacturing, and petroleum products, to tourism. The industrial sector is mainly made up of clothing and footwear manufacturing, production of car parts, and electric machinery. Although Tunisia managed an average 5% growth over the last decade it continues to suffer from a high unemployment especially among youth. The European Union remains Tunisia's first trading partner, currently accounting for 72.5% of Tunisian imports and 75% of Tunisian exports. Tunisia is one of the European Union's most established trading partners in the Mediterranean region and ranks as the EU's 30th largest trading partner. Tunisia was the first Mediterranean country to sign an Association Agreement with the European Union 1995. Following an ill-fated experiment with socialist economic policies in the 1960s, Tunisia embarked on a successful strategy focused on bolstering exports, foreign investment, and tourism, all of which have become central to the country's economy. Tunisia's liberal strategy, coupled with investments in education and infrastructure, fueled decades of 4-5% annual GDP growth and improving living standards. Key exports of Tunisia now include textiles and apparel, food products, petroleum products, chemicals, and phosphates, with about 80% of exports bound for Tunisia's main economic partner, the European Union. The top export partners of Tunisia are France, Italy, Germany, Libya and the United States. Tunisia is in the process of economic reform and liberalization after decades of heavy state direction and participation in the economy. Prudent economic and fiscal planning have resulted in moderate but sustained growth for over a decade. Tunisia's economic growth historically has depended on oil, phosphates, agri-food products, car parts manufacturing, and tourism. Tunisia's diverse, market-oriented economy has long been cited as a success story in Africa and the Middle East, but it faces an array of challenges following the 2011 revolution. 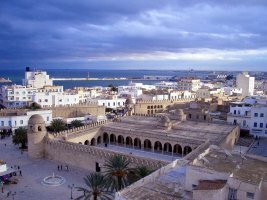 Tunisia's government faces challenges reassuring businesses and investors, bringing budget and current account deficits under control, shoring up the country's financial system, bringing down high unemployment, and reducing economic disparities between the more developed coastal region and the impoverished interior. Tunisia's top imports are petroleum gas, refined petroleum, cars, crude petroleum and wheat. The top import partners of Tunisia are France, Italy, Algeria, Germany and China. Tunisia is the northernmost country in Africa, bordered by Algeria, Libya and the Mediterranean Sea. The country has a high human development index. Tunisia has an association agreement with the European Union and close economic relations with Europe – in particular with France and with Italy. The country is a member of Black Sea Economic Cooperation Zone (observer), International Chamber of Commerce, World Trade Organization (WTO) and other international organizations. Imports can be subject to tariff rates over 200%. Goods are also subject to a customs formality fee, currently amounting to 3% of the total duties paid on the import. Certain imports are also liable for a value added tax (VAT). Tunisia's basic VAT rates are 29%, 18%, 10% and 6%, with the majority of goods covered by the 18% rate. Recent changes in the calculation of the VAT tax base have resulted in slightly higher rates for some consumer goods that were previously taxed at 29%. Tunisia calculates VAT on the base price of the goods plus any import duties, surcharges, and consumption taxes. A consumption tax is applicable to certain imported and similar locally produced items. Rates can vary from 10% to as high as 700%. The highest rates are applicable to luxury items such as champagne. Automobiles with large engine capacity are also heavily taxed, at rates rising to over 250%. Tunisia is a founding member of the World Trade Organization (WTO). While maintaining restrictions on designated strategic areas, the Tunisian government has pursued a program of liberalizing imports. Approximately 97% of imports do not require prior authorization. Tunisia still has non-tariff barriers such as import licenses or quotas on certain products. These particularly apply to consumer goods that compete against locally-produced equivalents manufactured by developing industries or to products for which there is no domestic production to satisfy consumer demand. The major categories affected by import restrictions are motor vehicles, in particular passenger cars, and pharmaceuticals. Tunisian-produced automobile components utilized in the foreign manufacturer’s automobile designs, and would-be importers would have to request an allotment from the government of Tunisia in order to receive an import license. This quota system is only for small engine cars; however, in general, individual Tunisian consumers may not import foreign vehicles privately, because of foreign exchange controls. Working within the letter of WTO requirements, Tunisia vigorously protects its domestic pharmaceutical industry. Several multinationals have complained about the "correlation” system under which, upon request from a Tunisian pharmaceutics manufacturer, the importation of a foreign drug similar to the one produced locally can be suspended. The Government of Tunisia has stated that the system will be phased out gradually. 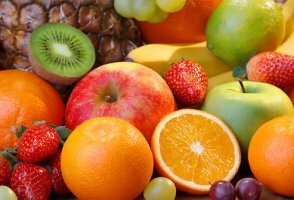 Agricultural products are generally assessed with high import duties and in some cases face other import barriers. Tunisia often gives preferential tariff rates to agricultural products originating in Arab and North African nations. Tunisian law prohibits the export of foreign currency from Tunisia as payment for imports prior to the presentation to the bank of certain documents which serve to confirm that the merchandise has entered the country. Usually Tunisian customs authority documents are used for this. Importers obtain hard currency for payment by presenting the documents to their commercial bank. Imports of explosives, military, and security-related equipment are tightly controlled. Imports are only allowed under license. Narcotics and pornographic items are strictly forbidden.